When in June 1962 Stan Getz launched the vogue for bossa nova with “Desafinado,” the time was ripe to take advantage of Gil Evans’ pre-existing interest in South America. On July 27, “Corcovado” was still unfinished, and the piece would be completed with an alternative take of the long coda of “Aos Pes Da Cruz.” The recording of the rest of the album stretched out until November. “Songs N°1” and “N°2” were inspired by South American folklore, and the American standard (“Wait Till You See Her”) and a French song (“La Valse Des Lilas,” alias “Once Upon A Summertime”) were then added. The project reached a dead end, and Teo Macero, resorting to editing and the addition of a piece from a provisional version of a quintet that had been recorded on the West Coast (see Seven Steps To Heaven N°18), only completed and released it at the end of 1963. Furious, Miles did not speak to Macero again until 1966. This extremely short album is here extended through pieces recorded at the same period with Bob Dorough with the idea of making a compilation of Christmas songs. “What stupid thing do they want me to play? 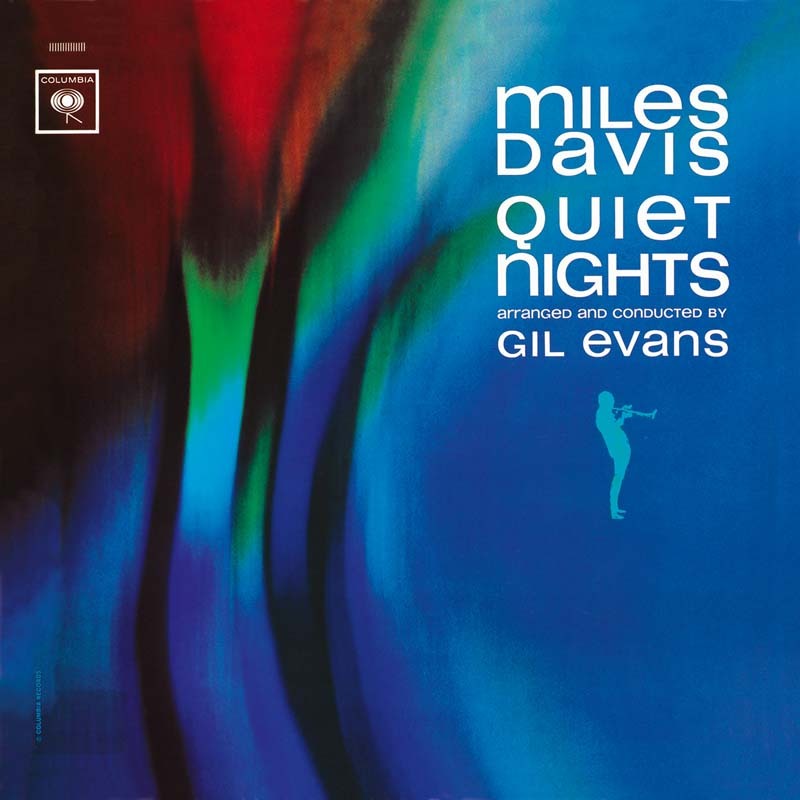 ‘White Christmas’?” Miles supposedly asked the singer who suggested a meaningful “Blue Xmas.” This CD also includes “The Time Of The Barracudas,” a piece written by Gil Evans for a play of the same name.